For all you F-Zero and Wipeout Fans out there, it’s not long to go before GRIP: Combat Racing finally reaches the finish line on November 6th for Nintendo Switch. New details have been revealed in the latest trailer for GRIP: Combat Racing. The trailer showcases the Split-screen multiplayer, the option to create your own tournaments, 10-player online multiplayer and arena mode. You can find the trailer as well as more information about the game in the official press release below. WATFORD, United Kingdom – September 19th, 2018…Wired Productions Ltd., a leading independent video games publisher, and developer Caged Element Inc. are delighted to share further details on multiplayer for GRIP: Combat Racing – a ferociously fast, futuristic arcade combat racer; including split-screen, tournament creation and online leaderboards. 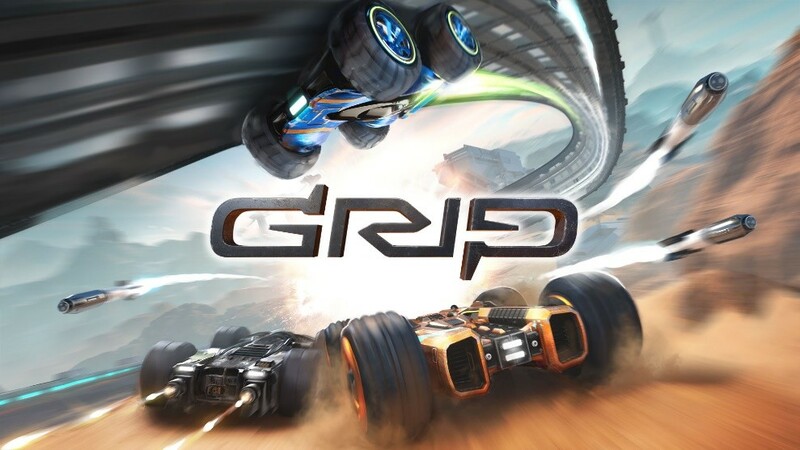 Budding racers attending EGX 2018 at Birmingham’s NEC between the 20th and 23rdSeptember will be able to go hands on with GRIP: Combat Racing’s multiplayer including split-screen, LAN and solo play. Inspired by the Rollcage games of the late 90s and backed by a highly-skilled and accomplished team, which includes Rollcage programming veteran, Robert Baker, GRIP: Combat Racing celebrates the re-emergence of blindingly fast arcade combat racers. The game will see racers hurtling their way around 22 breath-taking tracks, driving one of 15 armored cars; while deploying a bristling arsenal of 9 outlandish weapons and power-ups. Built on Unreal® Engine 4, the game accelerates ahead of the racing crowd by offering players gravity-defying physics reaching speeds of over 767 mph – making it the fastest racing game on four wheels. GRIP: Combat Racing will speed onto the PlayStation®4 computer entertainment system, PlayStation 4 Pro, Xbox One, the all-in-one entertainment system from Microsoft, Xbox One X, Nintendo Switch™ and Windows PC via Steam® on November 6, 2018.